there is something therapeutic about chocolate chip cookies. they are a comforting dessert that remind me of the warmth of my childhood. even though i love traditional chocolate chip cookies, i also love to try different variations of them too. in my opinion, you can never go wrong with dark chocolate. i especially love these bittersweet chocolate chips. since the chocolate pieces are so big, they ensure that every bite has just the right amount of dark chocolaty goodness. 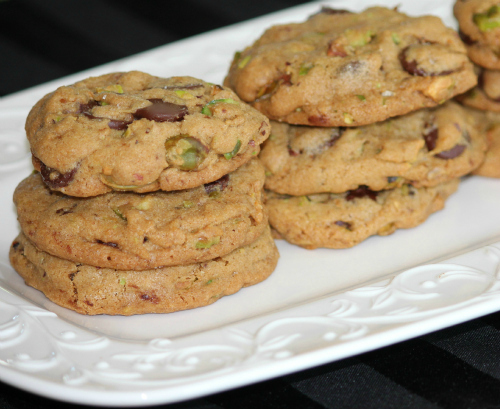 the addition of the pistachios to these cookies is perfect too. they add just the right amount of crunch. preheat your oven to 300 degrees F. line a cookie sheet with parchment paper. using an electric mixer, beat the butter and sugars together until light and fluffy (about 3-4 minutes). add the egg and vanilla, then mix well. beat in the flour and baking soda until combined. 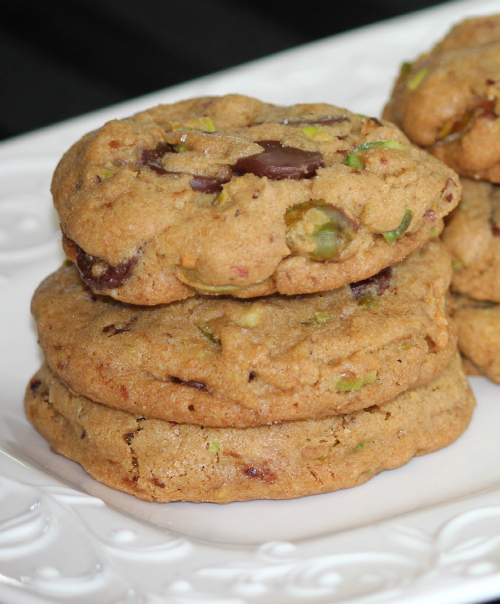 stir in the chocolate chips and pistachios. scoop the cookie dough by the tablespoon onto the cookie sheet. bake for 20 minutes, or until golden brown. Yummy cookies! They would hit the spot with the coffee I am having right now.